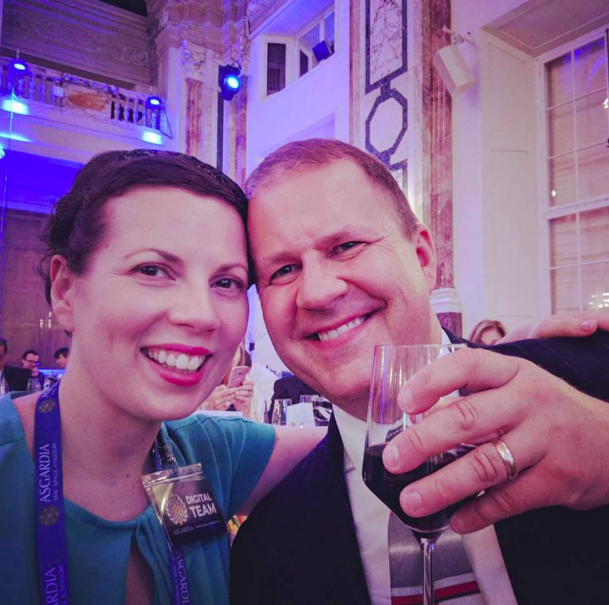 In case you’re wondering what Asgardia is all about and what it means that I and my husband, Geoffrey Holmes, are Members of Parliament, I thought I’d offer some explanation! But mainly, the vision for space is long-term. In the meantime, Asgardia is establishing itself as a democratic nation with everything that goes along with it; a constitution, a flag, a government, etc. Eventually, it will seek recognition by the UN and in the shorter term, it’s seeking diplomatic relations with individual nations. It may all seem a bit extreme but in case you haven’t noticed, these days the future is really racing towards us. The idea of a space nation may seem premature but by establishing the nation now, it will be ready for habitable space colonies in perhaps 30 to 50 years from now. If all of this resonates with you, you can join us and sign up to become an Asgardian at https://asgardia.space. My own interest in space has become much more keen since meeting and marrying Geoffrey, who was a young boy when the moon landing occurred. He’s been passionate about space and space-related science his entire life. I grew up on science fiction and Geoff’s keen interest in space has rubbed off on me. The first round of Asgardian elections occurred earlier this year, and it just so happened that the bi-elections took place shortly after a fortuitous birthday and I was able to run for parliament. And we were both elected! Out of 140 international MPs, I believe that I’m the youngest Member of Parliament. I was particularly inclined to run in order to add another woman to the list of representatives. 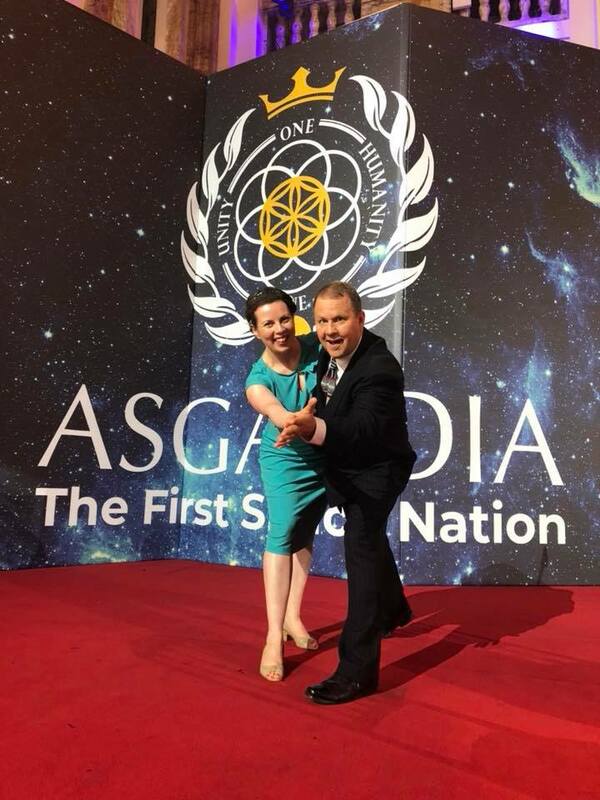 One of the very important members of the Asgardia administration is Lena De Winne and she has been a great inspiration to me. Lena is a smart, well spoken, strong woman who I very much admire. 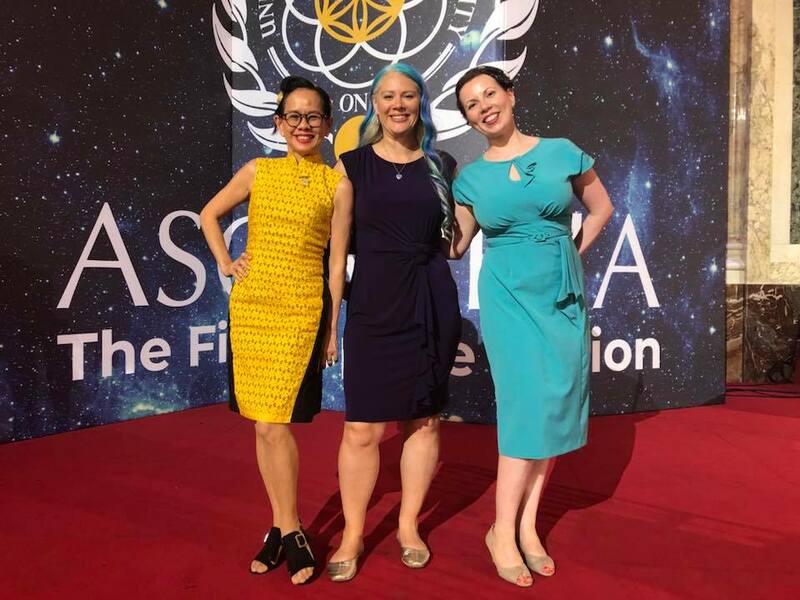 I also encouraged two women who I thought would be excellent members of Asgardia to run alongside me; Leah Dale (Vancouver, Canada) and Sing Lim (Singapore). And of course, it only made sense that Geoffrey, the truly knowledgeable and passionate space enthusiast, also join. Last week, we had the privilege to travel to Vienna to attend the first parliamentary session followed by the Asgardia Inauguration. It was an incredible experience! We gathered to choose our Speaker for Parliament (we selected Lembit Öpik, a former British politician), to share our own visions of Asgardia, and to get down to some parliamentary business, which I’m not at liberty to discuss here at this time… But it was all very official and fascinating! There were 8 interpreters present so that all of the MPs present would be comfortable speaking and understanding in their native language. As a member of the Digital Team, I also had the chance to interview several international MPs. It was a very long, productive, and exhausting day. That evening after dinner, we celebrated with a beautiful Asgardia cake, which included two Sputniks. The official inauguration took place at the Hofburg, the formal imperial palace in the heart of Vienna! It’s an absolutely gorgeous palace from the 13th Century. We arrived early to set up and run several “pre-show” live streams on both Facebook Live and Twitter Live. There was an official live stream also available of both the inauguration itself and the gala that followed. As part of the Digital Team I worked alongside Rebekah Berg and Ross Cheeseright, with Geoffrey Holmes (mainly) behind the camera. The entire ceremony was truly momentous, but the highlight was definitely the message from Cosmonaut Oleg Artemiev from the International Space Station. There was a beautiful gala dinner in a second hall and incredible entertainment. Culture is very important in Asgardia, not just science, and the performances included multicultural representation from the 12 official languages of Asgardia, performed by the Vienna Opera leading singers and dancers. It was not the kind of event that you get the chance to attend very often and we ate, drank, and danced in true celebration of the incredible occasion that we were lucky enough to be a part of. Now we’re back home and there’s a lot of work ahead. In true “Mandi fashion” I’m rolling up my sleeves and diving in to get things as organized and mobilized as possible. I plan to work hard to make a positive contribution to the nation.